Childhood asthma has been a big issue in the US for the past decade. According to the National Institute of Health, more than 6 million children have asthma, and it’s the third cause of hospitalization. Where does asthma come from? Your home is surrounded by tiny micro threats, but do you see them? They are many tips to avoid them in your home and get better air for your children. Here are five ways to help your kids fight against their disease. It’s never too late to give your house an eco-friendly cleaning. Making your own cleaning products can be a good way to avoid one part of the problem, chemical pollution. Think about using Grandma’s recipes to create old fashioned cleaning products with baking soda, lemon, and white vinegar..
Modern furnishings, building materials and even your own carpet may carry more pollutants than you think. In 1998, NASA discovered that houseplants can absorb pollution in the air. Why use house plants? They are more natural and cost less than air purifiers. It creates a beautiful interior, and they are therapeutic. In fact, improving your home with houseplants can be a great value in the long term: it’s not only about your respiratory health, it’s also about your mental health and how it can develop your productivity. It’s not a secret: eat well to improve your health. But do you know there are some ingredients that are more effective than others? For example, spinach is known to be the “doctor green vegetable” (that’s why Popeye was in love with). It has different vitamins such as C, E, and potassium. It is also famous for magnesium, a great ingredient that prevents asthma attacks. Be innovative and create great meals for your kids that can really save their lives. It’s easy to change everyday habits but it’s more difficult to know when to take action. 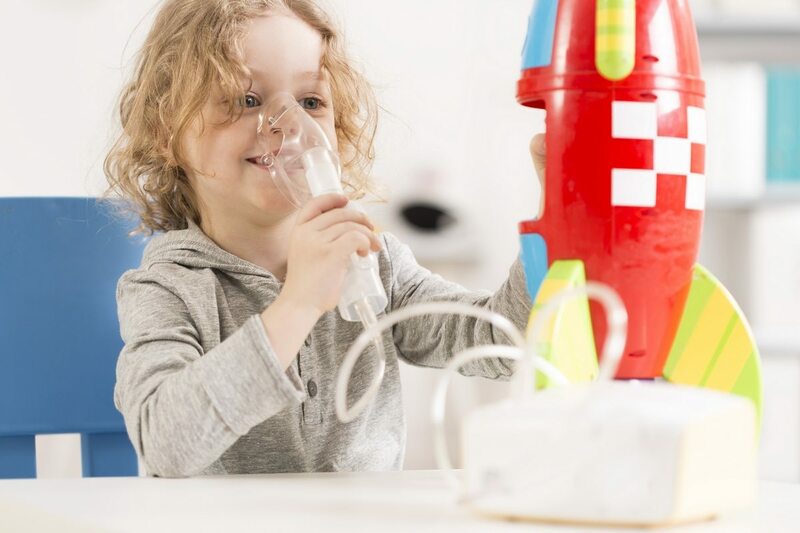 Indoor pollution is an invisible enemy: without tools, you can’t protect your children from asthma. Having a device such as Foobot can help you understand your home pollution and see if your actions are improving your air quality. The World Health Organization estimates that 80 percent of people living in cities are exposed to bad levels of pollution. Opening a window is the easiest solution but not the safest. Poor ventilation can have consequences on the health of all your family. A proper ventilation system prevents your home from confined air. The next step? Getting a flux of air that automatically adapts according to indoor air pollution levels. And FYI, that’s made possible using one of the new generation of connected thermostats such as Ecobee or Nest, associated with a Foobot. With this equipment, you don’t need to worry about your air being renewed enough, it’s all taken care of automatically. Do you have other methods, or tricks to prevent asthma? Let us know in the comments below.